The one in the foreground (after a design by Elmer Verburg) is especially handy. By moving the lock screw well away from the measuring plate, it's easy to lock in a measurement when the measuring plate is deep down in some inaccessible cavity of a part. However, I've developed another variation of this that works well in more conventional designs. 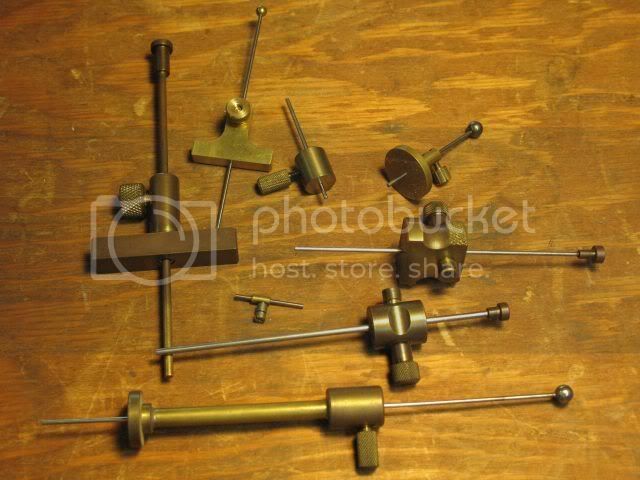 On my gauges, the rod is secured by a pin which passes through the gauge body and captures the rod. 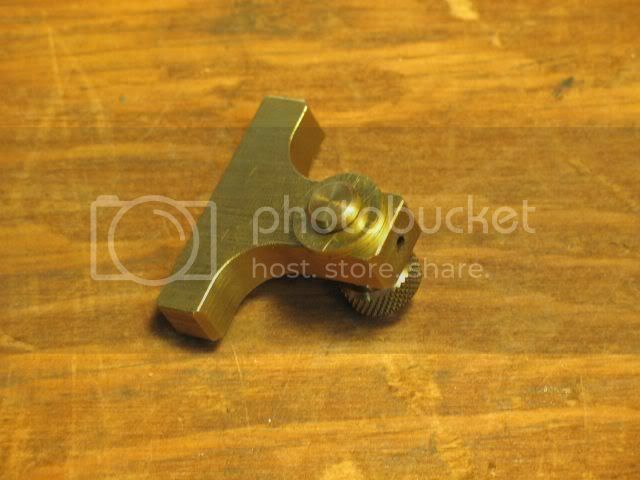 This pin is threaded on one end to accept the knurled lock screw. On the other end I form a button a bit larger than the rod. Before drilling the hole for the rod, I assemble the rod into the body with a couple of washers holding the button proud of the body. The lock screw holds this assembly together as I drill the rod hole. After drilling the rod hole, the washers are removed. 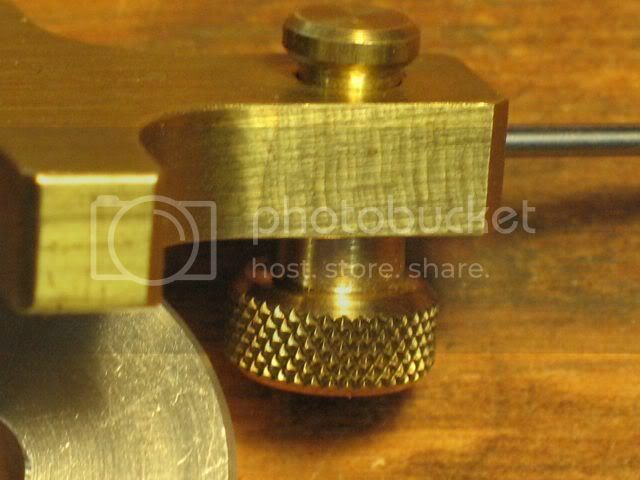 Now, when working in cramped quarters, merely pressing on the button will lock in the measurement until the gauge can be withdrawn and the knurled lock screw tightened. i can see a day making some more tools is in order.